infilling or any other destruction of them or their associated structural features. When the North Wilts Canal was completed in 1819 it provided a link from the Wilts and Berks Canal at Swindon to the Thames and Severn Canal at Latton. 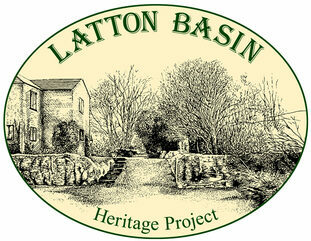 In order to preserve water supplies a stop lock, with little or no change of level, was built at Latton. A large basin was also constructed in order to allow for the trans-shipment of cargoes between the boats of different dimension which traded on the respective canals. The North Wilts boats were 72' long by 7' wide, whereas boats on the Thames and Severn were of differing lengths and wider beam. With the abandonment of the Wilts and Berks Canal in 1914, the Basin fell into to disuse, although trade had more or less ceased before the turn of the century. 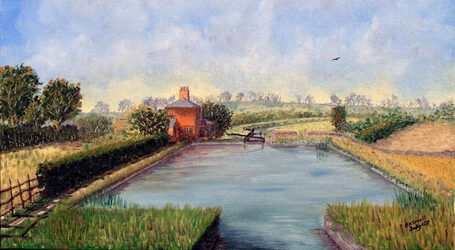 A few years later the Thames & Severn Canal was also closed and the Basin became a very isolated place. But life at the Basin flourished thanks to the extended Howse family, and today most of the infrastructure is still in place. In 2005 a small group of enthusiasts decided that this little known part of the Wilts and Berks Canal needed to be protected from further deterioration, and preserved as the only remaining intact original structures on the whole canal. What started out as a simple preservation project has blossomed into full renovation, with the prospect of re-watering not only the Basin but restoring the canal to the north of Cricklade, as well as re-connecting to the Thames and Severn Canal. In the years since we have made a lot of progress in spite of the fact that most of the volunteers live many miles from the site and are involved with restoration on other parts of the Wilts and Berks Canal. Recently we have been joined by a small band of 'locals' which has accelerated our progress; but there is still much to be done. Why not join in this very worthwhile community project. Please note: today all the area is on private property, please stay on the public footpaths.